Top of the line business centre with various offices to choose from. 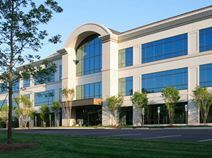 Cutting edge technology, professional support staff, virtual offices, conference rooms, HD video conferencing and Wi-Fi. Centrally located between Durham and Raleigh off Weston Parkway. This center off of Weston Parkway is the chance like no other to buckle down and get the work done. The center is just miles from Raleigh's International Airport for those who travel for work. If you enjoy the fresh air, take a stroll down the Greenway Trails linking to Umstead Park and Lake Crabtree. Utilize the meeting rooms, conference rooms, on-site management team and 24-hour access to worldwide centers. This business professional center strives to offer innovative services with its flexible leasing terms and all-inclusive pricing packages. This center offers many different types of space that vary from Shared Workspaces, Conference Rooms, Coworking space and Private Offices. Located down the street from the Raleigh-Durham International Airport and just off Interstate 40. Surrounded by many local restaurants. Premier office space located in well known Regency Park offering cutting edge technology and full business support. Easy access to shopping, dining, lodging and major cities.